2018 Honda Accord versus 2018 Nissan Altima: Which is the Better Midsized Sedan? Compact crossovers may be hot sellers, but the midsized sedan remains one of the best options on the market when it comes to quality transportation for you and your family. This segment is home to some of the biggest nameplates in the automotive industry. Two of the most popular options are the 2018 Honda Accord and the 2018 Nissan Altima. 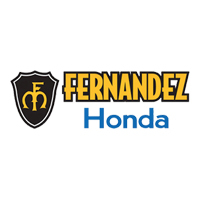 If you’re on the fence between these two vehicles, Fernandez Honda is here to help. We’ve taken the time to compare the Accord and Altima head to head. Now, you can get the facts on how each vehicle measures up in exterior, interior, technology, and performance areas. So, read on to find out which midsized sedan is worthy of your hard earned money. Honda completely redesigned the Accord for the 2018 model year and it’s now wider than the outgoing model. That change translates into a definitive advantage in spaciousness when compared to the 2018 Nissan Altima. Accord beats Altima in total passenger volume (105.6 to 101.9) and actually offers more cargo volume (16.7 to 15.4), as well. Additionally, the 2018 Accord has more second row headroom and legroom than the 2018 Altima. As far as interior equipment is concerned, both Accord and Altima perform well. Higher level trims on each vehicle come with premium amenities (e.g. leather, navigation, infotainment options). The 2018 Accord’s spaciousness factor, however, clearly elevates it above the 2018 Altima. Bottom line: if you want more room front to back – go with the 2018 Accord. Honda truly hit a homerun with the brand new 2018 Accord’s style. The sedan sits low to the ground giving it a sporty vibe, and even offers coupe-like styling elements with its raked roof. The 2018 Altima, on the other hand, is at the end of its life cycle having last been redesigned in 2012. Neither car holds a distinct advantage in exterior dimensions, as they measure up within an inch or two of each other. The Altima’s long overdue redesign, however, is too much to overcome in this comparison segment. Accord wins this category in a landslide. Honda and Nissan have both done a solid job with tech features in their midsized sedan offerings. The 2018 Accord and 2018 Altima come with touchscreen systems with a wide variety of infotainment features including the highly coveted Apple CarPlay and Android Auto functions. The Altima, however, comes up short in safety technology. Nissan’s Intelligent Mobility suite which includes features like Blind Spot Warning and Forward Collision Warning is available on Altima, but not standard. Accord, on the other hand, comes with the Honda Sensing Safety package as standard equipment across all trim levels. That means no matter which 2018 Accord model you choose, you’ll get Collision Mitigation Braking system, Road Departure Mitigation system, Adaptive Cruise Control, Lane Keeping Assist system, and Traffic Sign recognition. The 2018 Honda Accord comes standard with a 1.5L Turbocharged 4-cylinder engine. Nissan’s Altima counters with a 2.5L 4 cylinder option. Accord’s powertrain beats Altima’s not only in horsepower (192 to 179), but also in combined fuel efficiency (33 mpg to 31 mpg). With its horsepower and fuel efficiency advantage, the 2018 Accord is the clear winner in the performance department. 2018 Honda Accord versus 2018 Nissan Altima: Which Car Comes out on Top? It should come as no surprise given Accord’s dominance over Altima in practically every category that we strongly recommend the Honda model. Honda has characterized the 2018 version of their midsized sedan as “the best Accord yet” and we wholeheartedly concur with this assertion. Like what you have read so far about the 2018 Accord? If so, the next step is to head down to Fernandez Honda for an Accord test drive. Once you get behind the wheel of this car, you’ll quickly understand why it’s creating a ton of buzz in the San Antonio, La Vernia, and Universal City areas. We’ve got some amazing purchase and lease specials available on the 2018 Accord when you shop at Fernandez Honda located at 8015 IH 35 S. San Antonio, TX 78224.